Tired of traditional camping? You should definitely try glamping! And to make things even easier, check out these top 5 glamping hacks for your next trip. There’s nothing quite like a getaway to the great outdoors. Birds chirping in the trees, the smell of pine needles, feeling the breeze on your face. But sleeping in a cold, wet tent? That’s a lot less fun. If you’re not a fan of missing out on the luxuries of home while out in the wild, you’re not alone. Some people are more glampers than campers–they like to have a comfortable camping experience. You don’t have to leave your creature comforts behind to enjoy nature. 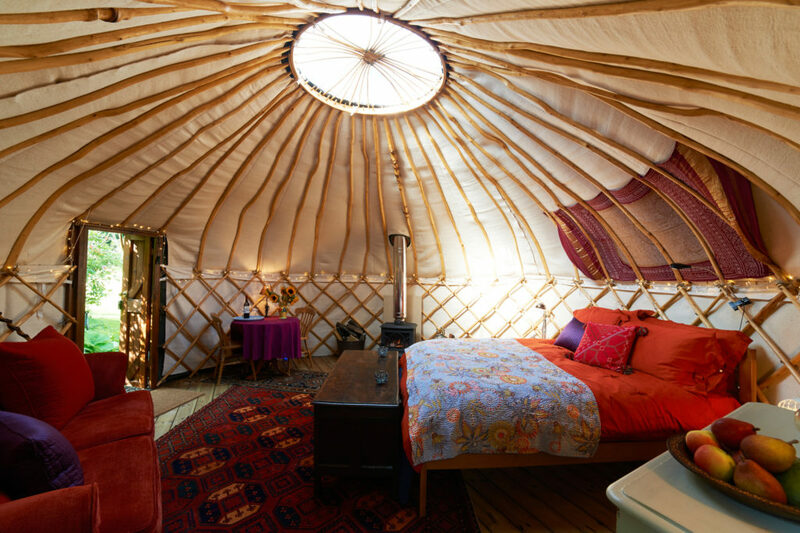 There’s plenty of ways to add a little bit of luxury to your camping trip–glamping style. Here are some essential glamping hacks for your next adventure. This might sound like a no-brainer, but the campsite you choose can make or break your camping experience. Some campsites are built for people who love to rough it–with just a toilet and limited running water. But there are plenty of more luxurious camping spaces out there that won’t break the bank. Look for sites with electricity, hot water, and nice bathrooms. Some sites will even have laundry, a convenience store, or a play area for children. There’s nothing worse than shivering in a sleeping bag on the hard ground. Even in the cold and dark, sleeping in a tent can be cozy and even fun. Try using an inflatable mattress that’s high off the ground to help you stay warm and comfortable. You don’t have to use a sleeping bag or mat–why not take the bedding from your own home? You can bring sheets, comforters, duvets, pillows, and even a faux fur blanket or two. Feel free to pack other luxuries like comfy pajamas, slippers, and throw pillows. Having the right tent can make a huge difference in your camping experience. Make sure to pick something as roomy as you can find. A good rule of thumb is to double the size that you think you need–if you’re camping with three or four people, bring an eight-man tent. Be sure that the tent is made of a waterproof material and that it’s easy to put up and take down. Pay close attention to the quality. If you want a sturdy and reliable tent, be sure to invest in a high-quality brand. Check out 4WD Supacentre for a good selection of durable camping equipment that will last you years of camping adventures. One of the best parts of camping is putting together a fun meal over the campfire. An easy way to bring the comforts of home food to the campsite is prepping meals ahead of time. You can cook simple dishes with potatoes or other vegetables at home and then wrap them in foil to heat up at the campsite. You can also bring meats like fish, steak, or chicken and grill them on the fire or camp stove. For breakfast, food like eggs, bacon, or muffins makes an easy, delicious meal. You can also bring a small coffee maker instead of instant coffee. There’s a lot you can do to make a campsite feel like home. Try putting up string lights and scented candles to create a warm, comforting atmosphere. You can also put some decorations around your campsite to give it a more homey feel. Bringing camping table and some foldup chairs go a long way in giving you a proper place to sit and eat. Getting close to the great outdoors doesn’t have to mean living off the land. Bring some of the luxuries from home and kick up your camping trip a notch. Pretty soon, you’ll be sitting in your comfortable campsite under the stars, eating s’mores and enjoying nature. With these five glamping hacks, you can go from roughing it to loving it! Need more tips and tricks for your next trip? Check out these articles on taking a weekend away and prepping the house before vacation. Adventure means something different to everyone, whether it’s traveling to a new country, hiking a woodland trail or climbing Mount Kilimanjaro. 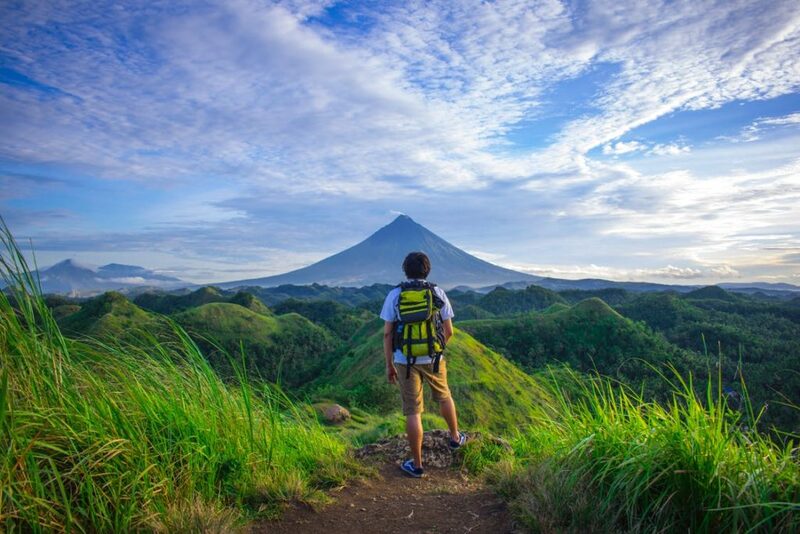 One thing’s for certain, however: adventure travel has many physical and psychological benefits, so if life is getting you down and you’re craving a natural high, it’s time to plan your next excursion. The world’s most stunning natural environments make for ideal adventure playgrounds for travelers of all ages, but less traditional vacations require a fair amount of planning. Here are five handy tips to help you plan your next adventure. Before you set off on vacation, it’s a good idea to have a goal in mind for your trip. Decide what you want to get out of your time away. Do you want to learn to surf in Hawaii, are you keen to conquer the Great Himalayan Trail, or would you simply like to try as many new activities as possible? Set a loose itinerary for your trip and try to make your goal the primary focus of your stay. An adventure vacation is only as good as the setting you choose. Whether you’re looking for steep mountains, calm canals or the biggest waves, you need to make sure you choose a spot with city amenities as well as natural beauty. St George Utah is perfect for action-packed holidays because of its small-city vibe offset against endless trails, stunning views and sprawling national parks. For more information, see the Visit St George website. If you’ve never been on an adventure holiday before or you’re going to be trying a new sport, spend some time researching how to pack for travel so you know what to take. Forums dedicated to travelers are particularly useful, as you can gain insight from other people who’ve done your trip before. If you’re backpacking, you’ll need a map or compass, water bottles, snacks, repair kit, first aid kit and extra insulation for overnight camps. If you’re heading abroad for a particular sport or activity, you may need specialist kit to take part. No one’s saying you can’t book that luxury hotel, but you’ll get more of an authentic experience if you camp outdoors. Whether you travel with kids, as a couple or on your own, there’s nothing more grounding than snuggling up in a sleeping bag in front of roaring campfire after a day of adventure sports. Just don’t forget to pack a portable stove and some basic camping equipment to keep you cozy. While adventure vacation are all about thrill seeking, be careful not to overload your schedule. By all means sign up to do that hike or abseil down a cliff, but make sure you leave yourself or your family some time just to roam free. Being close to nature has all kinds of psychological benefits as well as physical ones, so don’t deny yourself the pleasure of getting lost for a while. New York City is a destination where the hustle and bustle never stops. With over 8.5 million people spread over the five boroughs and millions of visitors flocking to Manhattan each year, it can be hard to take a step back and escape the noise. That’s why so many New York City tourists are taking to the water. Historically speaking, New York City has always been a major port, built to use the water to its advantage. By cruising the waterways, tourists are able to see many of their bucket list attractions while avoiding lineups, traffic and noise. Here are some of the best New York City views and experiences from the water. If you want to see the Statue of Liberty up close, you have no choice but to do so from the water as it and Ellis Island are only reachable by boat (or helicopter, if you happen to have one). 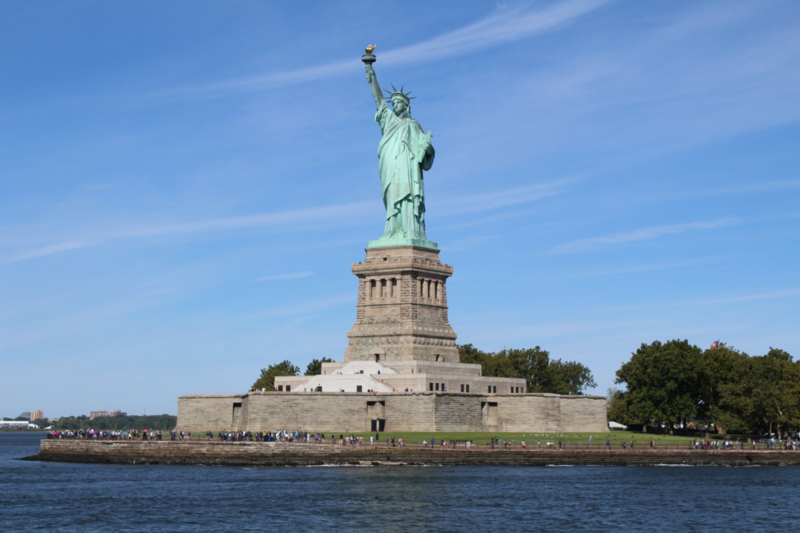 When you book your cruise to the Statue of Liberty, try to find a route that will take you alongside some of the other major attractions that you wish to see. At the very least, it can be breathtaking to see the skyline from the water. The Brooklyn Bridge is another major tourist attraction in the Big Apple, with many tourists aiming to walk across the historic span. As a result, there is rarely a time to walk across the Brooklyn Bridge without huge crowds of tourists, including cyclists and pedestrians who are loathe to stay in their own lane. The walk, which is meant to be scenic and relaxing, can quickly become stressful and miserable. Rather than walking across the bridge, take in this gargantuan span by cruising underneath. You still get to enjoy the incredible architecture without bustling around trying to get a photo without strangers in it. This cruise route is usually offered in conjunction with other popular tourist attractions, saving you both time and money by combining the trips. Add a touch of magic and romance by cruising at night and viewing the city lights in all their splendor. These cruises often start with sunset on the water, before sailing along the East River and Hudson River as the city comes to life before your eyes. See the One World Trade Center and the Empire State building twinkle in the distance, while the Brooklyn Bridge lights up from shore to shore. Battery Park is a gorgeous section of land in Southern Manhattan. The Battery is home to an urban farm, gardens, and a one-of-a-kind Seaglass Carousel. The Battery Park Esplanade is a long walking path that runs along the Hudson River, offering stunning views of the water and Statue of Liberty. From here, you can catch water taxis, cruise tours, and the Staten Island Ferry. Alongside Battery Park is the Museum of Jewish Heritage, the architectural wonder which appears to look like a beehive due to its hexagonal shape. While the view of Battery Park is often overshadowed by the buildings surrounding it due to its proximity to the Financial District, this museum is worth viewing from the water. The temperature on the water can be quite cooler than what you might find in the city core. Bring layers of warm clothing, as well as a waterproof jacket or poncho. The summer months in New York City are hot and humid. On the water, the air may feel cooler, but the sun is still powerful, especially when reflected off the surrounding river. Be sure to pack sunscreen and reapply regularly. Seeing The Big Apple from the water will instill a sense of peace and wonder, and give you a new appreciation for the monolithic metropolis once you’re back on the streets! One of the unfortunate aspects of road tripping is the need to stay within a specified budget. For most travellers, money is an issue and you certainly don’t want to go broke from a simple road trip. 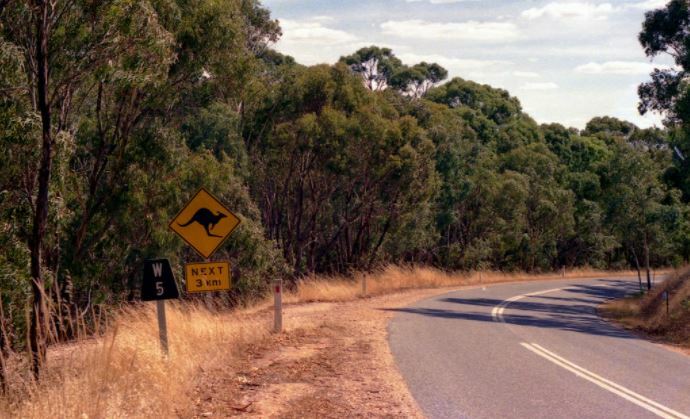 Travelling the open Australian roads should be a fun and satisfactory experience free of money worries and stress. The best way to combat money issues is to set a strict budget for your trip. This way you can rest easy knowing that, as long as you stay within your budget, money will not be a worry for you on your campervan hire australia journey. 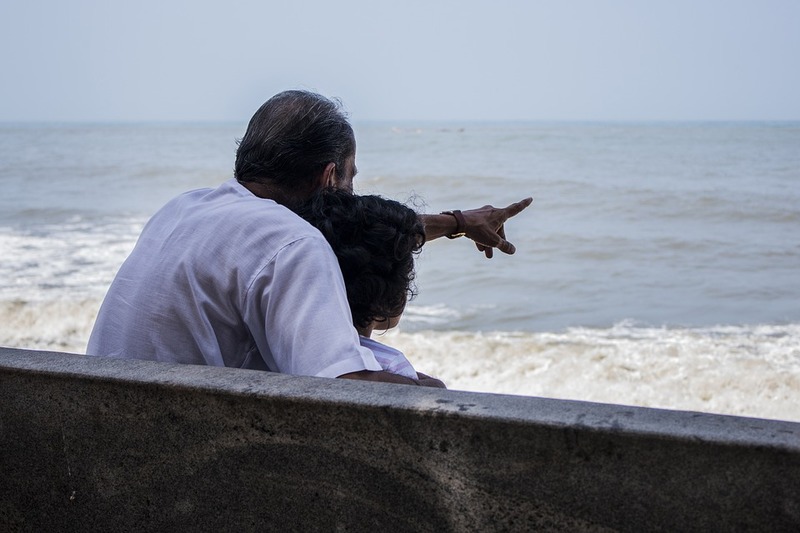 The trick is to stay within the budget, and fortunately there are a number of helpful tips that will help make this possible for even the most tight budget traveller. The first trick is to make sure to pack a large selection of non perishable food items for your journey. One of the main things that will break a budget is having to purchase food on the road, from restaurant bills to supermarket runs. This will end up at least taking up a large portion of your budget that you may want to spend on other things. If you have a large amount of canned goods and snacks with you then you will be able to prepare your own meals and stay well-nourished on the road without dropping a large amount of cash on eating out and food purchases. There is no better way to stay on the right side of your budget than with a large stock of foods packed away in your campervan. Before you set out on your journey, take note of all the outdoor activities you plan on tackling during the trip. Set up a checklist to assure that you have all of the gear necessary for these excursions. Having to rent or purchase gear on the road will eat into your budget significantly. When you have your own gear along for the ride, this assures that you will be taking on your outdoor activities free of charge. For example, if you plan on hitting the rapids at one point in your journey then by all means grab the raft from the garage and pack it along for the ride. It will be worth the space it takes up since it will help to protect your budget since you won’t have to be renting out a raft when you reach your destination. If you really want to stay on budget, then make the effort to bring your own gear. The great thing about a campervan hire australia trip is that you have your living quarters with you on the road. There is no need to shack up in hotels when you can set up with your vehicle. Not spending money on hotel charges should be a top priority for anyone looking to stay within their budget during a road trip. Before you set off make sure that your campervan is fully equipped for camping out. Make sure that you know how to set it up and that you have enough space and amenities to be comfortable. As long as you are all set up to camp, then you can kiss those expensive hotel fees goodbye on your journey. Nothing will kill your budget on a road trip like a breakdown. If you end up broken down and stranded on the road, this will definitely set you back significantly in the money department. The costs incurred from garage fixes and towing can be astronomical. This is why you should do everything in your power to avoid unfixable breakdowns on the road. Before you set out, make sure to go over every aspect of your campervan in order to make sure all of the parts are working. Take a test drive to assure there are no issues with the engine or tires. Every time you set out on the road, you should have full peace of mind in knowing the rig is running well and has no impending problems. Just in case you should run across any minor issues on the road, also bring ample tools that can be used to make quick fixes for engine trouble, tire issues, or exterior repair. This is just to assure that you will not have to fork over any cash for repairs along the way. Staying within your set budget on a campervan hire australia journey is entirely simple as long as you pack well and plan accordingly. You don’t have to be rich in order to experience the joys of the open road. All you have to do is follow this simple set of tips on your trip. When you’ve achieved success in life, it’s natural to splurge every now and then. That’s why an increasing number of people are choosing to enjoy the perks of renting luxury villas rather than staying at traditional hotels. But where should you go? Here’s one tip: choose among the luxury villa rentals in Barbados. The word is spreading very quickly about how fabulous a holiday in Barbados can be, and that’s why in recent years the tourists are arriving in record numbers. In 2015, there were 592,000 visitors here, and that was a record broken by 2016s 610,000 tourists. The latest data shows that 2017 i on track to shatter the 2016 records, and local hoteliers are excited over the likelihood that 2018 will result in even greater numbers. The beaches. There are 60 beaches in Barbados, and they’re all open to the public. All the beaches seem to have white pristine sand, and the waters are all clear due to the corals. The west coast is also known as the Platinum coast, and this faces the Caribbean Sea. The waters are gentler here, and it’s a great place for kayaking, snorkeling, and jet skiing. Try your hand at sailing—the whole island of Barbados is so small at you can go around it in a sailing boat in just a few hours! The east coast faces the Atlantic Ocean, and here the waves are livelier so the surfing is fantastic. The weather.No matter the time of the year, the weather in Barbados doesn’t seem to change all that much. The warmest months are August and September, as the temperature can range from 78 to 86 degrees F. The coolest months are January and February, with temperature ranges of 74 to 82 degrees F. It’s like being in heaven all year long. Also, it’s not as humid in Barbados compared to other nearby countries in the Caribbean. Those countries can generally become a bit too humid, but in Barbados you can enjoy a constant breeze and brief showers to counteract the heat. The fresh seafood. You can’t go anywhere in Barbados (or even read anything about the country) without you hearing about Oistins Fish Fry. This is the place to visit on Fridays and Saturdays, as you can enjoy fresh seafood along with rum concoctions. 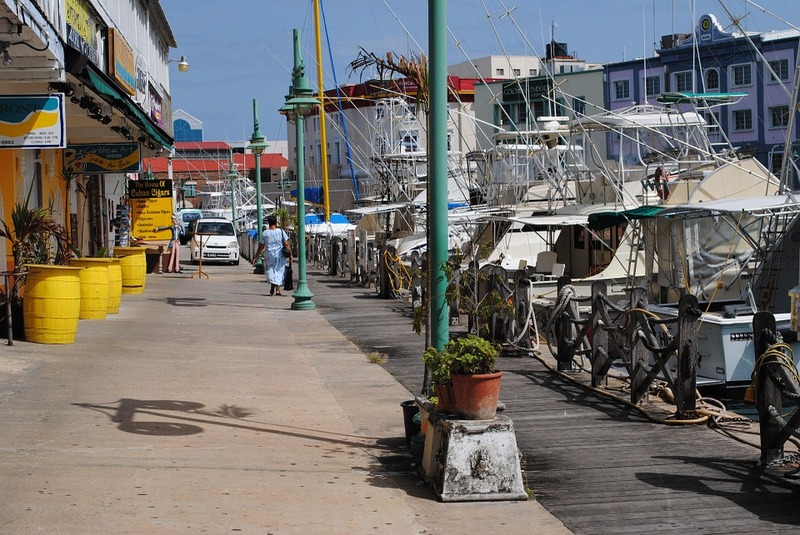 But the truth of the matter is that plenty of places here offer fried or grilled fresh fish, with a rum drink that somehow goes perfectly with your meal. Try the flying fish and the mahi mahi (known locally as “dolphin”). Exhilarating nightlife.You can have a wide range of options for your nightlife entertainment. You can enter a cool trendy club, go bar hopping along St. Lawrence Gap, or even enjoy a quiet night at a rum shack with Mount Gay XO rum for company. The people. Everyone’s friendly. If you’re looking for new places to visit, just ask anyone you meet on the street and they’ll share their favorite spots. It also helps that when you rent a luxury villa, you enjoy more space and certainly much more privacy. Add the concierge services that can provide gourmet meals and live music for pool parties, and you’re certainly in for one of the best holiday experiences in your life! Travelling is getting easier all the time, with the result that more and more people are indulging themselves. It is possibly going too far, with people assuming that you can’t be worldly or sophisticated without having gone to places afar, but still. Travel can be a good thing if done right, and a bad thing if done wrong, like so many other things. It all depends on where you want to go, and what you want to do, whether it be seeing museums, or seeing the nightlife. You’ve heard of the Dead Sea, haven’t you? This is the next stage in the life cycle of such a place – a saltwater lake has dried up, and left the most immense salt flat behind in its wake. There isn’t much else around, of course, owing to the salt, but you can stay in a hotel constructed entirely of salt if you have a mind to, and admire the natural beauty of the place from your window. This bustling city is always popular, and usually make an appearance on the list of best places to visit in the world. The city hosts a huge carnival every year, although if you don’t like crowds, obviously it would be best to avoid it at those times. Rio de Janeiro can give you the best there is to offer of Brazil, while being close to the US. This city is full of life and colour, and offers some of the best food you can get. Do we really need to go into why you should visit this city? Japan is an amazing place, and Tokyo gives one of the best home bases to explore the country from. 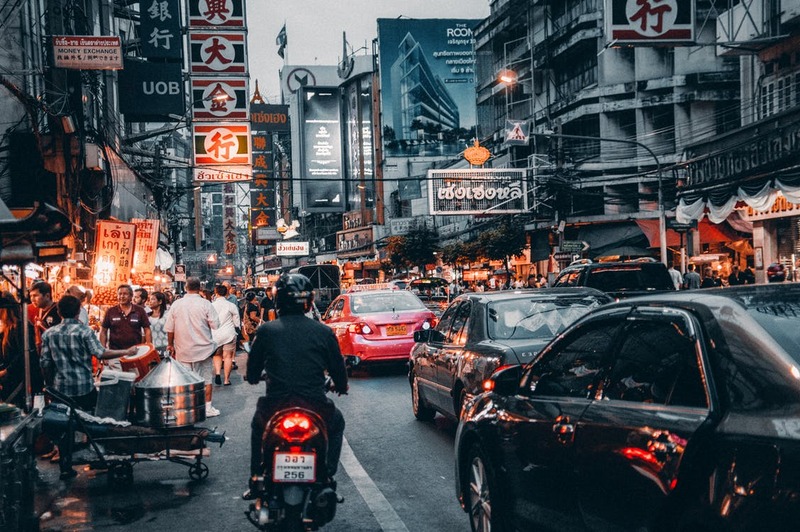 An intriguing mix of the old and the new, Tokyo allows travellers to experience all parts of Japan at once, and gives them all kinds of day trips and night life to see and experience during their stay. No journey is complete without seeing Glasgow. The beating heart of Scotland, Glasgow has it all, complete with its very own burgeoning street food culture. Glasgow has an excellent transport system linking it various parts of the country, and is famous for its own nightlife and restaurant scene. If you feel like dancing, there is something for you; smooth jazz is also available Visit the museums and art galleries for some more culture, and make sure to hear some traditional music while you’re at it. A huge part of how adults date online these days is finding someone who will travel with them. Travelling isn’t everybody’s cup of tea, but a lot of people love it, and make that clear when they meet someone, or when they write their profile. When you are meeting someone, be clear on what you want in terms of travel, and see where you both can go from there. You might discover something amazing. Any road trip through New England isn’t complete without a visit to Portland, Maine. This beautiful bayside town, known for its views of the water, lighthouses, and picturesque Victorian era homes, is a stop for any tourist who loves to combine long walks by the beach with a classy lunch on the main street. So whether you’re visiting on your own, with friends, or family, there’s something for everyone. Looking to fill your itinerary? We’ve got a list here of the 12 best things to do in Portland, Maine, covering all our bases so that you’ll find the perfect activity for you. It’s no surprise that one of Portland’s greatest attractions is anything water-related. Locals love to go out on their boats and enjoy the bay. But just because you’re a tourist, this doesn’t mean you won’t have to miss out—there are plenty of options. These include: renting kayaks and paddleboards from Portland Paddle, ferries to Peaks Island, sailing for two hours on an old-schooner with Maine Sailing Adventures. And you can always watch the water from a bar in South Portland, too, if you prefer to be a fish out of water. If you’re a bike lover, you’re in luck. Portland is the perfect city for biking around, because it’s situation on the Portland peninsula, and in addition to beautiful views of both the streets and the shore, it’s got a huge number of trails you can bike on. Just a few to check out: The Cape Elizabeth Loop, The East Coast Greenway, and, for anyone who loves mountain biking, there’s The Evergreen and The Fore River Sanctuary. And just outside the city there are options, too! When it comes to beer, Portlanders are experts and craftsmen. Despite being a smaller-sized city, Portland’s got a total of 17 breweries—which equates to the ratio of 1 brewery per every 3,900 residents. Now that’s something to cheer to! Of course, if you’re just visiting, you won’t have time to visit each and every single brewery (and every single pub pouring local pints, either). This is probably a good thing, if you don’t want to end up spending your life credit repairing. So to decide which one to visit, check out this list. Portland is the kind of place, with all its natural beauty and indie-feel, that attracts artists. So it’s no surprise that, as a tourist, you’ll have plenty of art galleries and museums to check out. If you’re not sure where to start, Creative Portland offers a guided art walk, which you can read about here. Otherwise, consider asking at your hotel—and make sure you don’t miss out on the Portland Museum of Art. And of course, what kind of vacation is a vacation without checking out the local restaurants? Especially in Portland, a foodie’s dream where there’s plenty of traditional New England seafood in addition to exotic restaurants and pizza joints. Whatever your preference or craving, there’s plenty to choose from: so get started by checking out this list from Bon Appétit for eating and drinking your way through this mouth-watering city. And if you’re more into the rustic style of eating, read these articles about Maine’s best food trucks and lobster shacks. You can go shopping in any city—but in a New England gem like Portland, you can go vintage shopping, find that perfect piece of Victorian era furniture that you’ve been dreaming about since spotting one in a cool coffee shop back home. So instead of scouring the Internet for the perfect one, risking your cyber security, why not check out the many vintage store in Portland. Check out this guide to get started. Because Portland’s so rich with activities and sights, there are plenty of tours to choose from. Going on a tour will simplify your itinerary the same way that hiring a professional employer organization (PEO) helps any business leader sort out salaries and benefits. For fun, there are wine cruises, beer buses, bike tours to numerous lighthouses, brewery runs, foodie tours, duckboats, and horse rides. And if you’re a history buff, you’ll also want to check out the endless historical tours. If you’re lucky enough to spend a long time in Portland, then another exciting thing to do is taking a day trip out of the city. Maine’s a beautiful state—and there are plenty of places to explore, whether you’re a nature lover, foodie, or want to get to know other charming towns in the area. For a list of options, take a look at this article from The Culture Trip. Portland, Maine is one of the best destinations out there, with plenty to do for any visitor. Whether you love beer, the outdoors, or local culture, you’ll have a great time in this great city.